Pounding beats, throbbing bass, swirling electronics. Is this latest acid house, acid techno, electro-techno (whatever label you choose) sensation from Germany? No, surprisingly it is a foray into this genre by the multi-faceted Peter Frohmader. Over the years Peter has experimented with different electronic styles, never straying far from the dark side. On 2001 Peter takes his electronic paintbrush and applies it to electronica. I would never have imagined myself saying that Frohmader’s music had a good beat and that you can dance to it, but this statement certainly applies to much of this disc. "Large-Screen," "Ethereal Dance," "Strange Days," and "Landing" are the standout dance toonz, though I would be surprised to hear this music in a club. All of the music on 2001 contains Frohmader’s sinister trademark. You may be a bit overwhelmed listening to 2001 in its entirety. It is best taken in small doses. 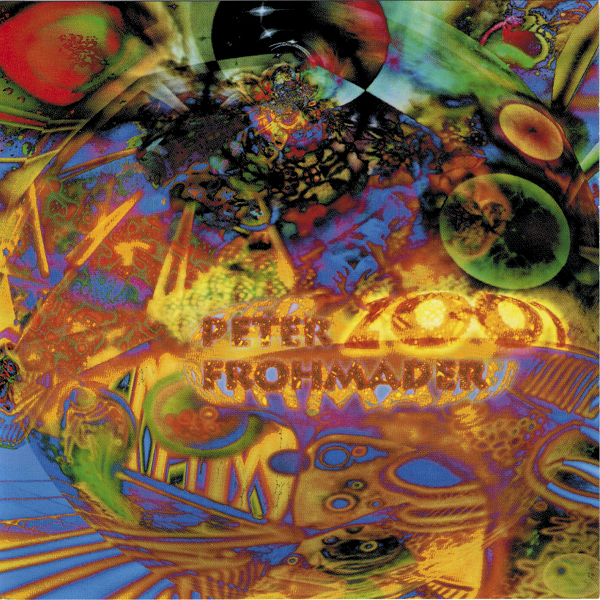 Not one of Peter’s best releases, 2001 is a must for the Frohmader completist.